It appears that another candidate for the 2012 judicial elections has emerged, almost two years before voting is to begin. Tom Ramsberger lost the 2010 Sixth Judicial Circuit Court Group 20 race to to Patrice Moore by a vote of 86,704 (51.03%) to 83,200 (48.96%), despite outspending her $59,821.49 to $21,798.20 and having higher name recognition as a result of a brother, Peter Ramsberger, being a serving circuit court judge in Pinellas and Pasco counties. Moore, however, had the endorsement of the St. Petersburg Times and was a more impressive speaker than Ramsberger while out on the stump. The Sixth Judicial Circuit Group 27 (Pasco and Pinellas counties) runoff election to be determined on November 2, 2010 is a race between experienced attorneys Keith Meyer and Jeff O’Brien, who came in first and second, respectively, in a four-candidate field competing in the August 24th primary election. According to official results of the August 24th primary election, Meyer came in first with 52,327 votes (31.1% of the total cast), and O’Brien came in second with 45,216 votes (26.8% of the total cast). The bottom two candidates, LeAnne Lake (28,666 votes or 17% of the total) and Kelly McKnight (42,219 votes or 25.1% of the total) were eliminated. It is because none of the candidates received in excess of 50% of the vote that the top two vote-getters are in a runoff election. An analysis of the primary election results for all of the Sixth Circuit judicial candidates has appeared in an earlier post on this blog. L. Keith Meyer, Jr. received his B.A. with Honors in History from Florida State University in 1999 and his law degree from Florida State University in 2000. 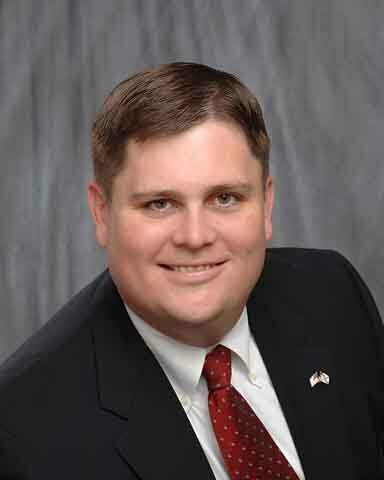 He began his legal career serving for a few years as a prosecutor in the Office of the State Attorney for the Sixth Judicial Circuit (Pasco and Pinellas Counties), where he worked in both the Misdemeanor and Felony Divisions. After leaving the State Attorney’s Office Meyer went into private practice, handling a broad range of criminal and civil cases. He has no military experience. His civic involvement predates his departure from the State Attorney’s Office and includes serving as a Board Member of Religious Community Services, Inc. (which includes a food bank, a shelter for abused spouses, and homeless assistance), being an active Rotarian, and various pro bono work. The Sixth Judicial Circuit Group 18 (Pasco and Pinellas counties) runoff election to be determined on November 2, 2010 is a race between experienced attorneys Patricia “Trish” Muscarella and Kathryn Marie Welsh. Muscarella and Welsh were the top vote-getters in the August 24th primary election. In that race, fellow candidate Edward Liebling was the bottom vote-getter and so was disqualified. An analysis of the primary election results for all of the Sixth Circuit judicial candidates has appeared in an earlier post on this blog. Patricia “Trish” Muscarella, is one of two candidates running for Circuit Court Judge, Sixth Circuit, Group 19 (Pasco and Pinellas Counties). She was born and raised in Pinellas County. Muscarella has been actively involved in community service since she was a student at St. Cecilia Elementary School in Clearwater, where she was a VISTA volunteer in a summer reading program for underprivileged children. She is the daughter of Frank Muscarella, former United States Attorney for the Middle District of Florida. She is a 1970 graduate of Clearwater High School, a 1975 graduate of the University of Florida (B.A. in Special Education), and a 1984 graduate of Stetson College of Law. On June 7, 1985, she was admitted to the practice of law in Florida. For those of you who have been frustrated in your efforts to find out the personal philosophies of candidates running for judge, here’s a bit of a tease, with the promise of much more to come. The Conservative Institute for Public Awareness (CIPA), a group originally created by former U.S. Congressman Mike Bilirakis, hosted a judicial candidates forum on June 1, 2010. The forum was well-attended and was videotaped in its entirety. It was a rare and very informative event but, nonetheless, it did not get much publicity outside the membership of CIPA. Until now. The first value of this little clip is that it is unmistakable that Welsh identifies with liberal judicial activism. The clip is also a valuable indication of Welsh’s aptitude for situational awareness. First of all, one has to wonder if Welsh actually heard the question, which was directed at sitting justices, and not nominees. Regardless, it was an informative answer for those conservative voters concerned over the direction the country is headed. 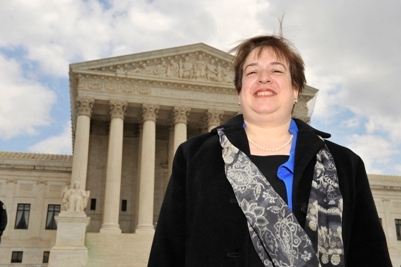 One must, however, wonder if Welsh understood that she was in a room full of conservatives and that she was praising a radical leftist hand-picked by President Obama to protect his statist agenda in the United States Supreme Court, and whose nomination those conservatives to whom Welsh was speaking uniformly and vigorously opposed. With Trish Muscarella stating her admiration of Justice Scalia, the clip also shows that there is a rare, remarkably clear, choice between the candidates for Circuit Court Judge in Group 18, one that conservatives (and moderates) overlook at their peril. Extract of the August 24, 2010 primary election ballot. As of election day, there were 897,503 registered voters in the Sixth Circuit divided into 334,874 Republicans (219,890 in Pinellas and 114,984 in Pasco); 339,532 Democrats (231,044 in Pinellas and 108,488 in Pasco), and 223,097 “other” (150,202 in Pinellas and 72,895 in Pasco). A total of 202,943 votes were cast in this election, 147,315 in Pinellas and 55,628 in Pasco (33,788 Republicans, 18,088 Democrats, and 3,752 “other”). In the Circuit Court Group 18 contest 173,417 votes were cast. The vote tally was Edward J. Liebling 42,719 (24.63%), Patricia “Trish” Muscarella 68,593 (39.55%), and Kathryn Welsh 62,105 (35.81%). As no one received more than 50% of the vote, Liebling is out of the race and Muscarella and Welsh face a run-off election on November 2, 2010. Total campaign expenditures were $38,108.69 for Liebling, $56,456.19 for Muscarella, and $25,946.16 for Welsh. Welsh had the endorsement of the St. Petersburg Times. In the Circuit Court Group 20 contest 169,904 votes were cast. The vote tally was Patrice Moore 86,704 (51.03%) and Tom Ramsberger 83,200 (48.96%). Moore was endorsed by the St. Petersburg Times. Total campaign expenditures were $21,798.20 for Moore and $59,821.49 for Ramsberger. In the Circuit Court Group 27 contest 168,303 votes were cast. The vote tally was LeAnne Lake 28,640 (17.01%), Kelly Ann McKnight 42,193 (25.06%), Keith Meyer 52,287 (31.06%), and Jeff O’Brien 45,183 (26.84%). As no one received more than 50% of the vote, Lake and McKnight are out of the race and Meyer and O’Brien face a run-off election on November 2, 2010. In this race, the St. Petersburg Times endorsed Keith Meyer. Total campaign expenditures were $12,065.48 for Lake, $14,043.83 for McKnight, $43,527.34 for Meyer, and $13,339.41 for O’Brien. In the Circuit Court Group 29 contest 170,673 votes were cast. The vote tally was incumbent Hon. Michael Francis Andrews 91,773 (53.77%) and Deborah Moss 78,900 (46.22%). The St. Petersburg Times endorsed Andrews. Total campaign expenditures were $88,657.85 for Andrews and $41,990.44 for Moss. In the Circuit Group 30 contest 166,982 votes were cast. The vote tally was Susan St. John 76,726 (45.94%) and Kimberly “Kim” Todd 90,256 (54.05%). The St. Petersburg Times endorsed Todd. Total campaign expenditures were $15,390.31 for St. John and $47,423.46 for Todd. This race is remarkable for several reasons, including the facts that Todd overcame a ballot order effect that favored her opponent, and was the second-highest vote-getter (90,256) after Andrews (91,773) despite being in a judicial race with a turnout that was 3,691 votes smaller than the Andrews-Moss turnout. Todd’s defeat of St. John was so uniform and complete that, in Pinellas County for example, St. John was able to out-poll Todd in only 31 precincts out of a total of 376. In the race for Pinellas County Court Judge, Group 8 a total of 121,236 votes were cast. Incumbent Hon. Thomas B. Freeman trounced his opponent Wayne C. Mineo, with 83,317 votes (68.72%) going to Freeman and 37,919 (31.28%) to Mineo. The St. Petersburg Times endorsed Freeman. Total campaign expenditures were $42,745.26 for Freeman and $10,973.13 for Mineo. This results of this election may have finally put to rest the local myth of superiority of female judicial candidates over male judicial candidates that arose in the wake of Susan Gardner’s 2008 defeat of Angus Williams 346,717 to 190,136 in the Sixth Circuit Judge Group 8 race, despite Williams having the endorsement of the St. Petersburg Times and his outspending Gardner more than 8.6 to 1 in the campaign. Although Muscarella and Welsh did out-poll Liebling who was at the top of the ballot in the Group 18 race, Meyer and O’Brien out-polled both Lake and McKnight who appeared on the ballot above their names. It now appears in retrospect that Gardner, who expended a total of $15,199.44 in her campaign, used the combined advantages of ballot order effect and outworking her opponent to overcome Williams, who expended a total of $131,989.71 in his campaign. Endorsement by the St. Petersburg Times may have also played a small, but important, role these elections. The “newspaper effect”, by which voter preference is influenced approximately 3% in favor of the candidate endorsed by the local newspaper, in combination with other effects, seemed to be apparent in the fact that every candidate endorsed by the St. Petersburg Times either won outright (Moore, Andrews, Todd, and Freeman) or made it into the runoffs (Meyer and Welsh). At least two of the candidates, McKnight and St. John, chose races in which their names would appear ahead of other candidates already in the race, apparently banking on the “ballot order effect” to improve their chances of success. The ballot order effect is based on the notion that candidates appearing at or near the top of a set of candidates will garner more votes than those whose names appear afterward. Theoretically the effect increases from approximately 2% at the top of the ballot to as much as 5% as the voter goes down-ballot. As the judicial candidates all appeared down-ballot in relation to most of the other candidates on the August 24th ballot, all of the top-listed judicial candidates should have had a significant edge over their lower-listed opponents. As born out by the results in the Circuit Court Group 18, 27, and 30 races, any such advantage can be overcome by outworking the opposition or other effects. Another, somewhat intangible effect, in this was the use of the internet to distribute the candidate’s message. The impetus for this is the relatively meager coverage the mainstream media gives judicial races. Those who made the most extensive and effective use of the internet, including email, social networking sites such as Facebook, and YouTube, tended to have somewhat stronger support at the polls due to the efforts of those who felt that they had a personal connection with their candidate. One of the candidates, Kimberly Todd, made extensive use of the internet to promote her “brand” and distinguish herself from her opponent. This may have contributed to the result that the point spread between Todd and her opponent was greater than in any of the other circuit court races. An examination of the various judicial campaigns reviewed in this article reveals that the biggest factors in electability of a judicial candidate are name recognition and a personal connection to voters. Much of this is driven by the candidate’s personality, energy, and creativity, but external factors such as financial resources, quality and frequency of campaign consultation and advice from experts, number and quality of prominent endorsements, and the ability to conduct a long, grueling campaign without making embarrassing mistakes (especially when it comes to public statements and campaign financing). Judicial campaigns are fraught with risk, but the risks can be manageable by a competent candidate who prepares in detail for the campaign. The successful candidate thus can “see” the campaign all the way to Election Day and more effectively accumulates and manages the required resources to accomplish the mission than his or her opponent, while the unsuccessful one does not, and that appears to be what separated the winners and losers in these races. 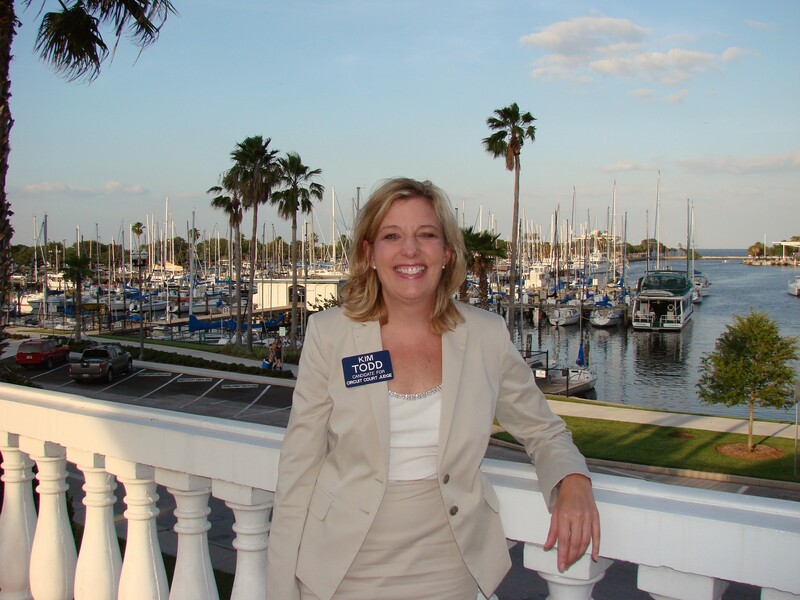 (August 20, 2010) Kim Todd, candidate for Sixth Judicial Circuit Court Judge, Group 30 (Pasco and Pinellas Counties), unveiled her latest web video today, four days before Election Day. It is impressive.